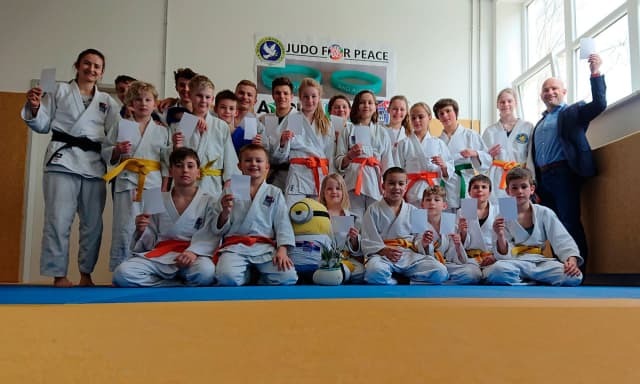 The German Judo Club „TuS Bad Aibling“ participated together with friends from the club SV Ostermünchen for the second time in the International Day of Sport for Development and Peace, in connection with the Judo for Peace activities of the International Judo Federation. 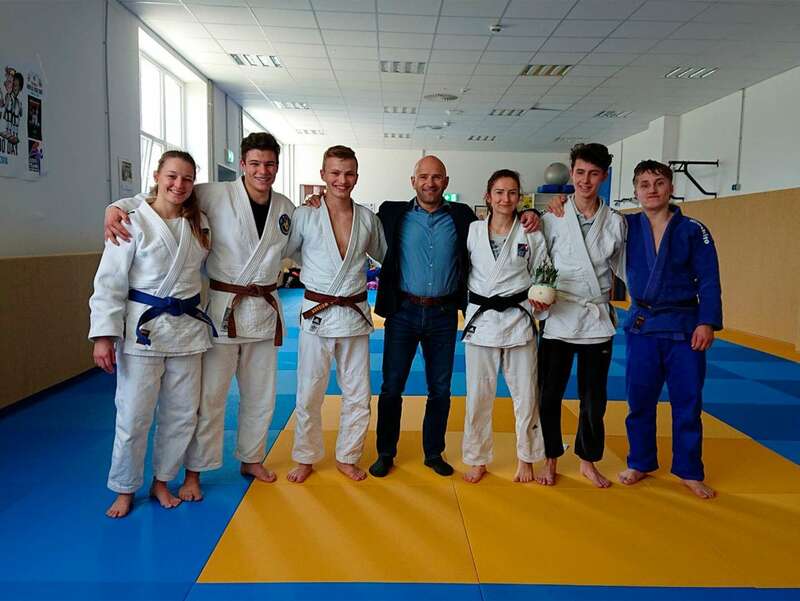 The young athletes started with a training session in the sportshall of the “Wirtschaftsschule Alpenland”, before moving to the “Sportspark” in Bad Aibling for a common dinner in the “B&O Parkgelände“. In an old typical Bavarian restaurant „Peißnhof“ the coaches took this opportunity, together with Anamaria Budiu, to talk about „sports and peace“ and how judo can help to build peace among communities. The head of department, Denis Weisser, introduced the „Judo Principles“ to the children. The young athletes then slept in the dojo, before doing some more sport activities the next morning.